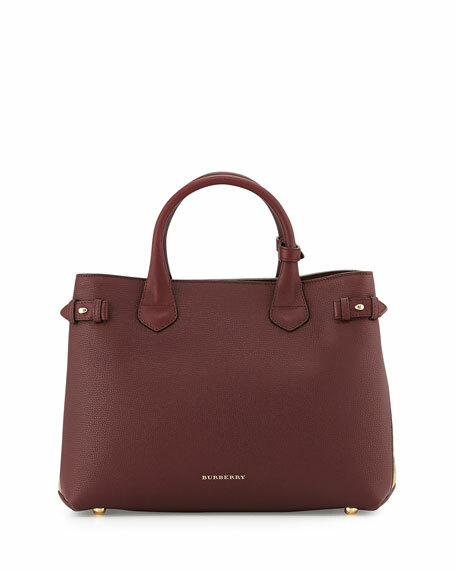 Burberry grained horseshoe leather shoulder bag with signature check canvas side panels. Top handles with keeper strap. Snap tabs gather in sides. Min. strap length: 31.9"; max: 35.8". 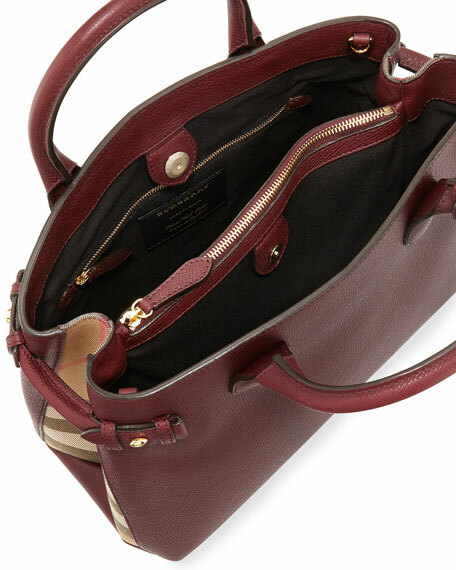 Inside: check fabric lining; center zip compartment; zip and open pockets. 13.4"H x 9.8"W x 5.9"D.
For in-store inquiries, use sku #1527286.